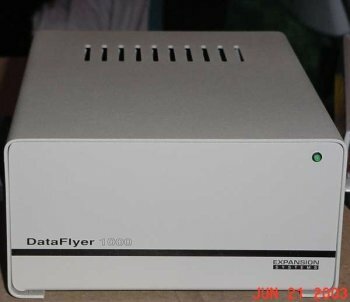 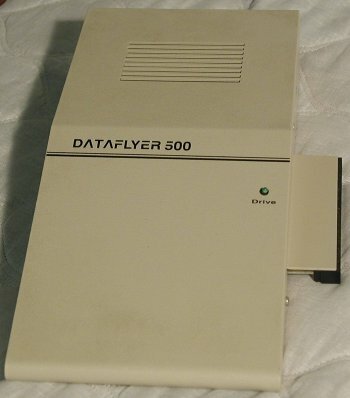 The Dataflyer 500, Dataflyer 1000 and Dataflyer 4000SX are all essentially the same hardware. 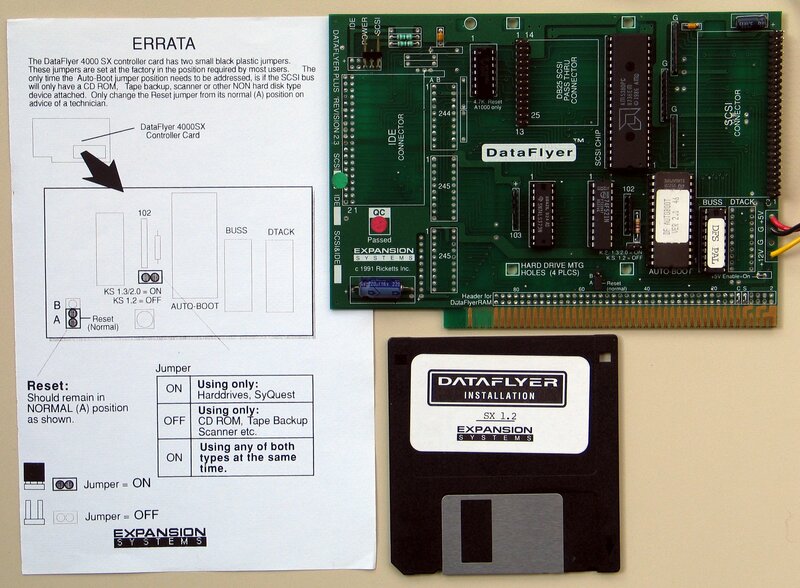 They all make use of the Dataflyer PLUS card. 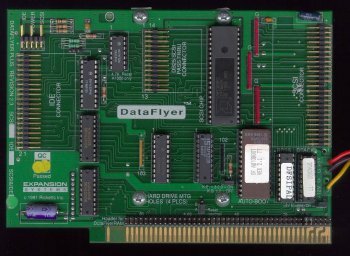 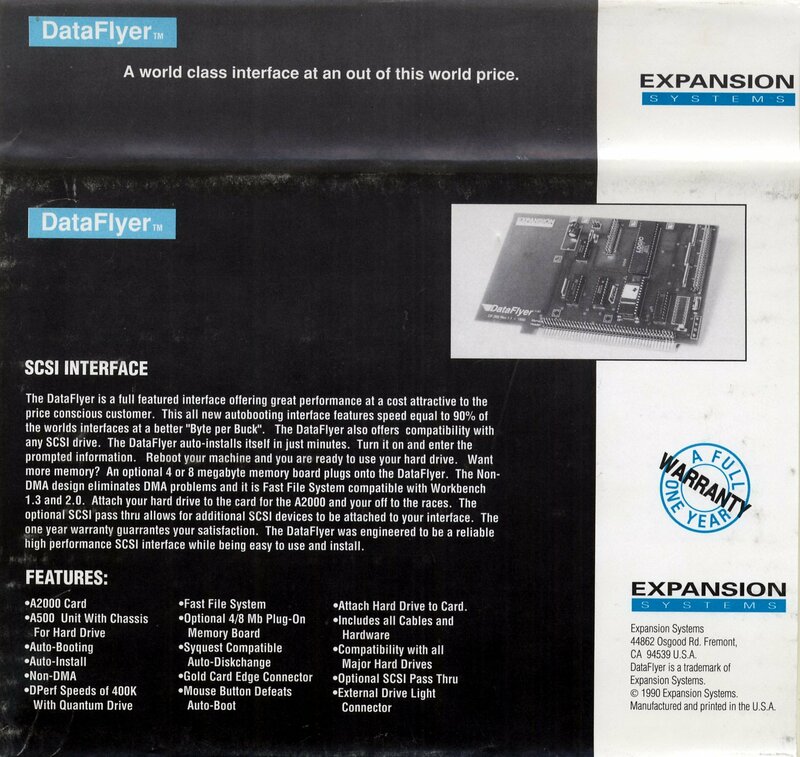 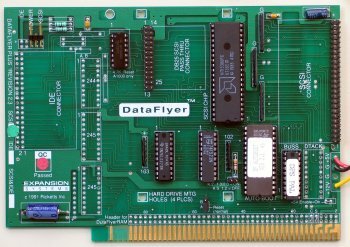 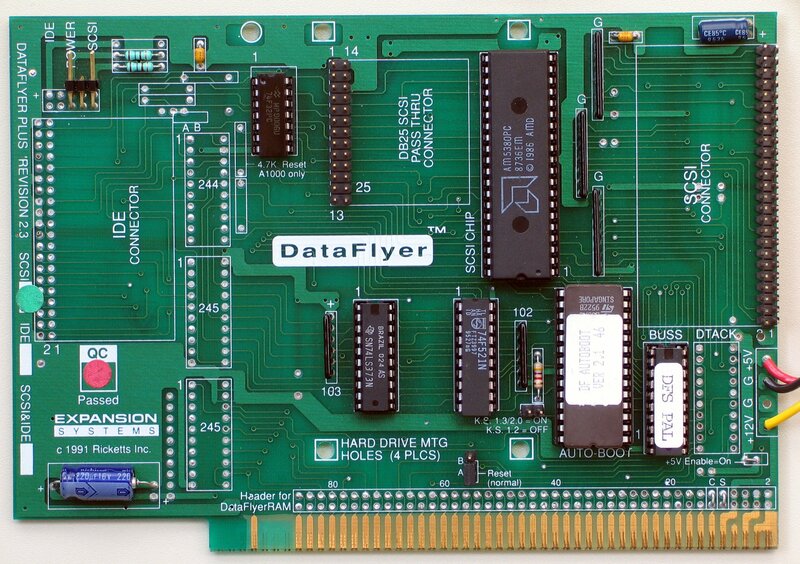 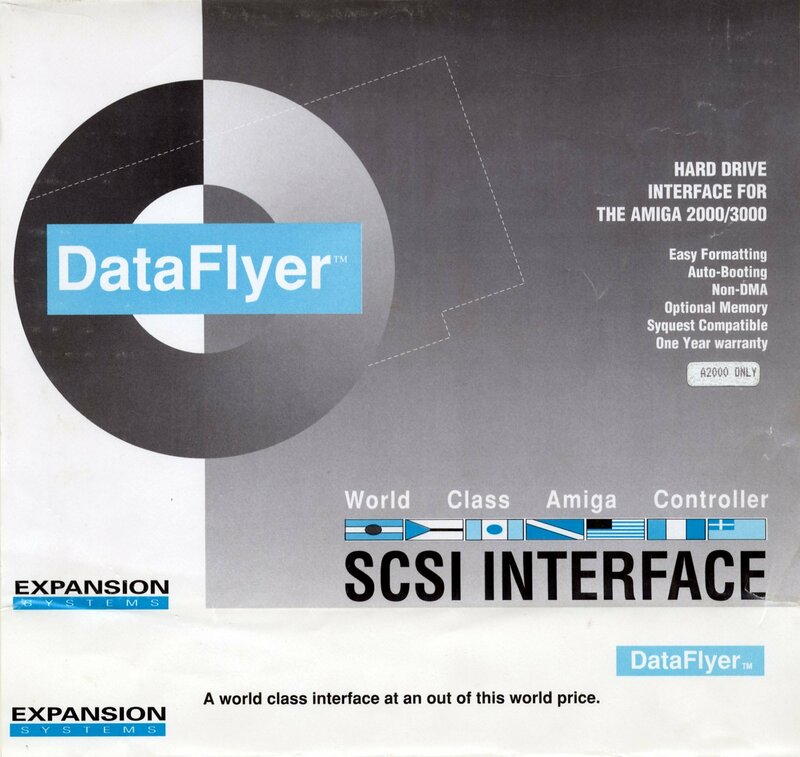 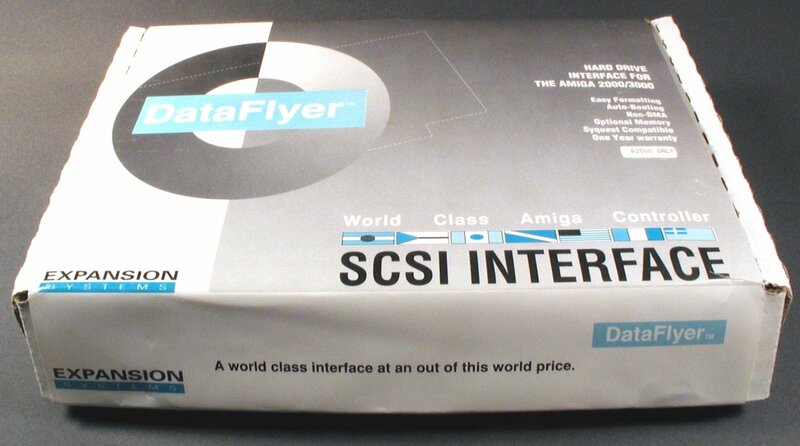 The Dataflyer PLUS card is a half length Zorro II card and was available in three combinations, these were: SCSI Only, IDE Only and SCSI & IDE. For the Dataflyer 500 and 1000 the card was mounted in an external case with a hard drive, which was then attached to the side expansion slot. 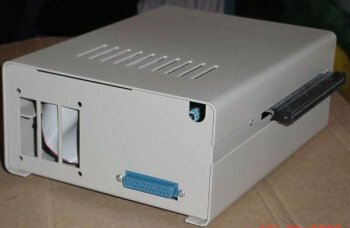 The case could be powered directly from the A500/+ or A1000 however an optional external power supply was also available. 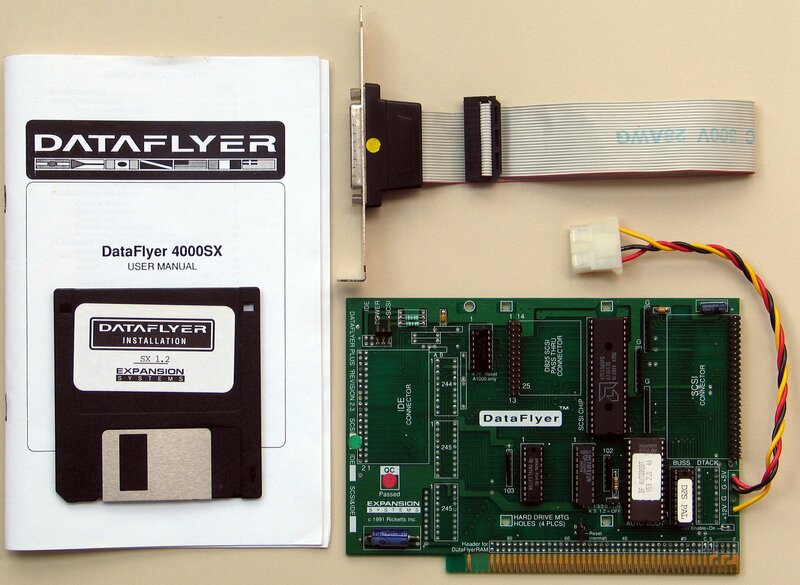 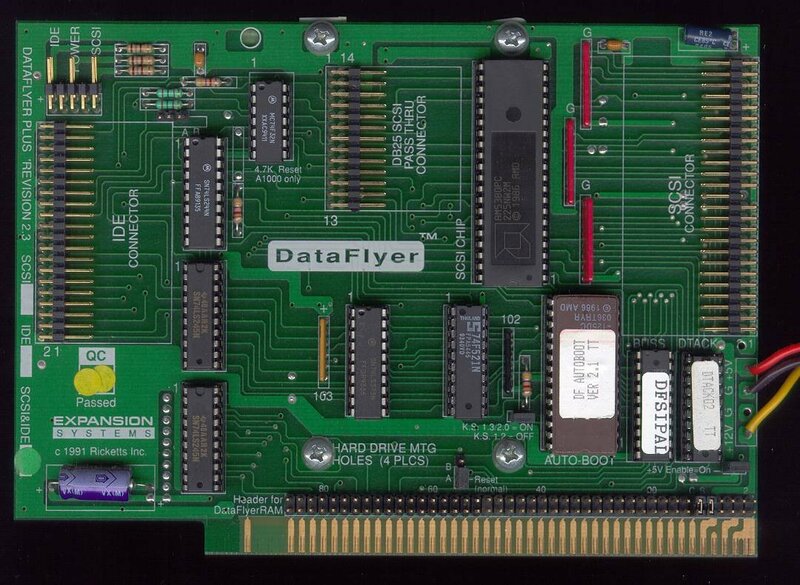 The Dataflyer 4000SX was simply the card itself which can be plugged into any machine with Zorro II/III slots. A hard drive can be mounted directly to the underside of the card. 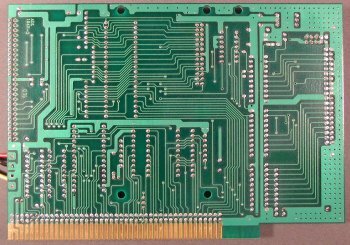 For versions of the card with SCSI support, it contained a 50pin internal SCSI header and a 26pin passthrough which attaches to an external DB25 SCSI connector via a ribbon cable. 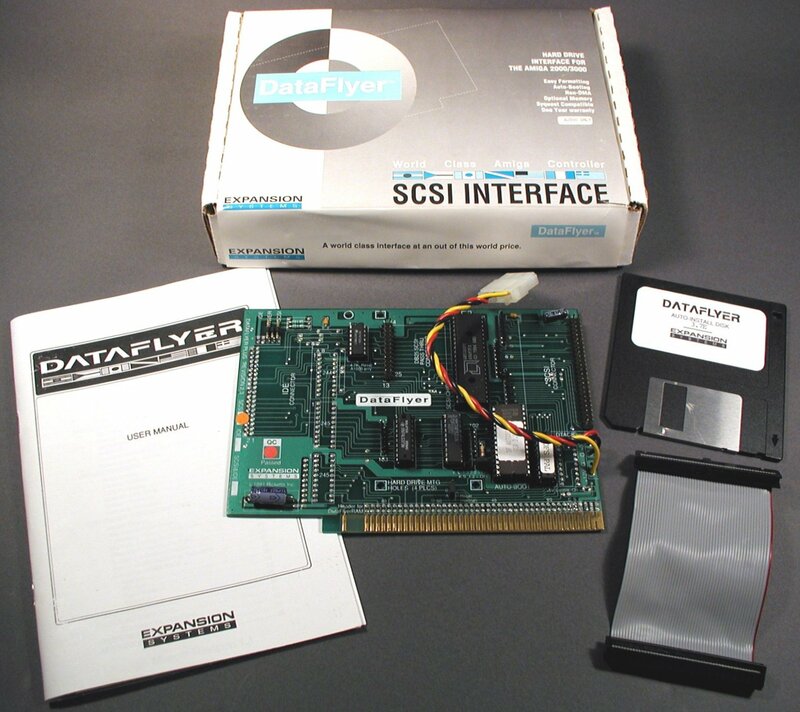 For versions of the card with IDE support it contained a single 40pin (3.5") IDE connector. 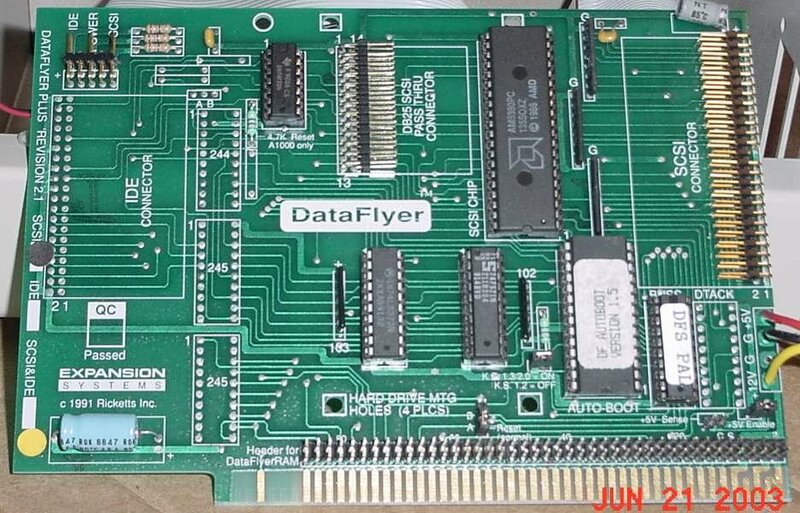 The Dataflyer supports autobooting which can be disabled by holding down a mouse button at boot time. 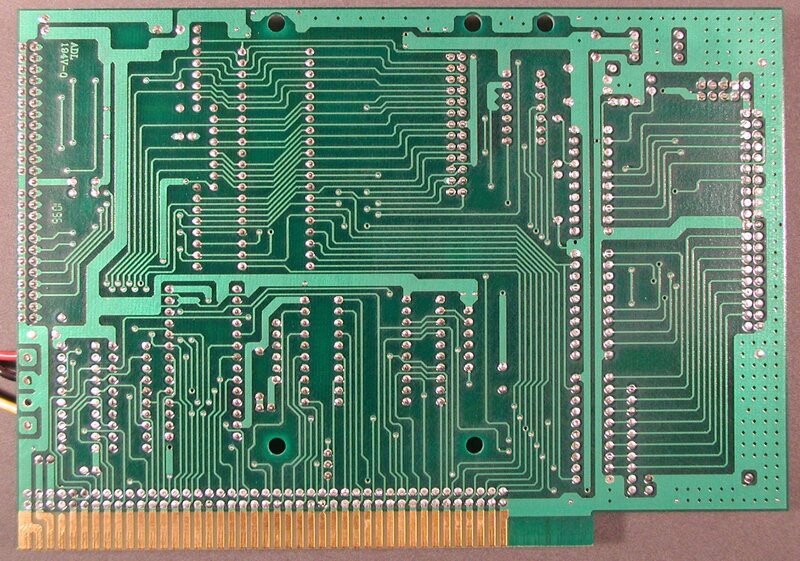 An optional RAM board was also available which could be attached to the pin connector next to the edge connector. 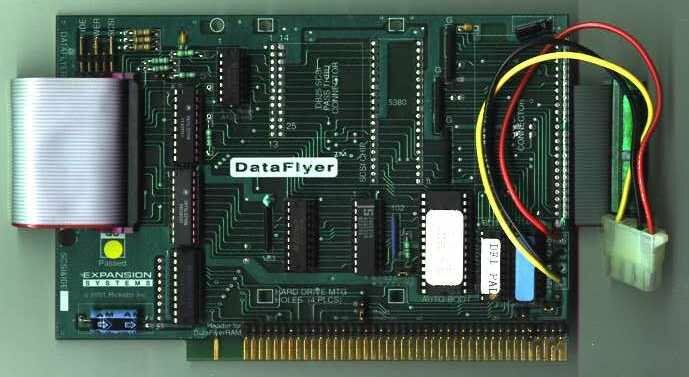 This pin connector was really intended for attaching the RAM board if you are using it in an external case such as the Dataflyer 500 or 1000. 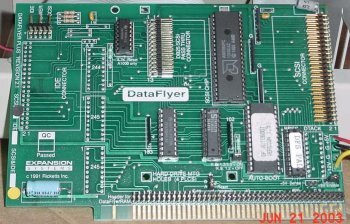 Because the RAM board is actually a Zorro II card, in an Amiga with Zorro II/III slots you can plug the card directly into a slot without needing to attach it to the Dataflyer. Page contributors: Francisco Rabay Jr, NicDouille, Ron Mascaro, Stephan Latta, Steve Geary, Takahasi Kasiko.